Sega has begun the process of sending out emails to the players selected for the PlayStation 4 Closed Beta Test. You can now begin downloading the client by inputting the product code enclosed in your email. 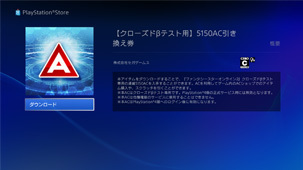 This can be done from the PlayStation Store by clicking the [コード番号の入力] button in the sidebar. Approximately 40GBs of space is required in order to download the beta client. 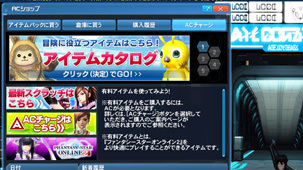 Players can begin utilizing the character creation features while downloading the game. Once you’re finished creating a character, you can select [クリエイトデータ書き込み] to save the character for future use. The servers will stay online from March 4th @ 18:00 ~ March 6th @ 22:00 JST. You can click the pink links in the schedule to automatically convert it to your timezone. 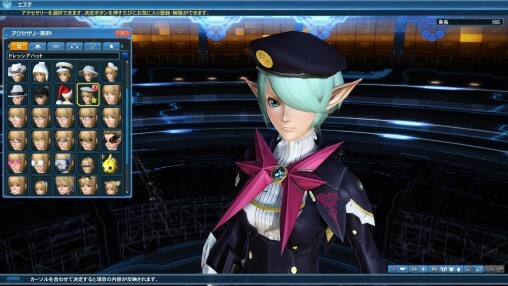 A SEGA ID will be required to participate in the Closed Beta. Please take this time to register for your SEGA ID if you haven’t already done so. Due to unforeseen circumstances in the Closed Beta, it is highly likely for the Emergency Quest schedule to change on a relatively short notice. We may not be able to catch such changes in time when they appear on the site. You can claim a 5,150 AC ticket to your closed beta account using the following method. 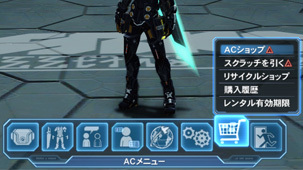 Click ACチャージ underneath the close button. oh so the people that was live streaming yesterday was playing with the ingame chara creator, makes sense, thought i couldn’t access the beta servers because of DNS problems like years ago. Any one know how to copy the exported character look files to PS4 and load them in the creator? Have anyone tried the Beta yet? I can’t seem to find a way to logout on the sega ID I inputted.